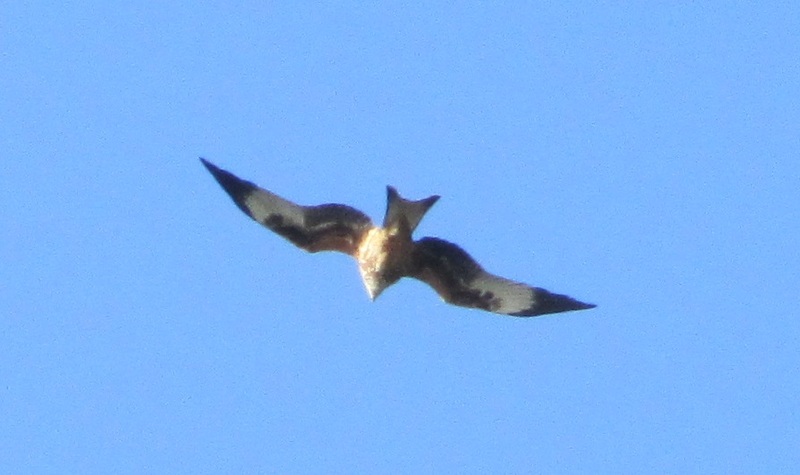 I'm not a birder by any means, so can anybody identify this bird captured by the camera this morning? It seems that it is a Black Redstart - thanks to Pete G and Dave Pearce for the information. Quite a rare bird apparently! All rather quiet at the moment. It's been very quiet over the last few weeks, as it was during the same season in previous years. Apart from some feathers on the tower roof indicating that there is some peregrine activity, I've not actually seen either bird, nor has the camera recorded any movement on the nesting tray. Hopefully things will start to liven up in the spring! I had a quick look at church where Christopher Robin fledged in 2010. This is ﻿Christchurch in Cheltenham, which is a stunning landmark in the area. Dave Pearce has been looking after the peregrines here for the last 5 seasons, and 18 chicks have been reared in that time. It is worth following this link to see what's been going on there. Of these 18 birds, only Christopher Robin has been positively identified to be still around, as one of the pair of birds at Tewkesbury Abbey. It's been a while since I've seen CR, let alone take a photo of him. 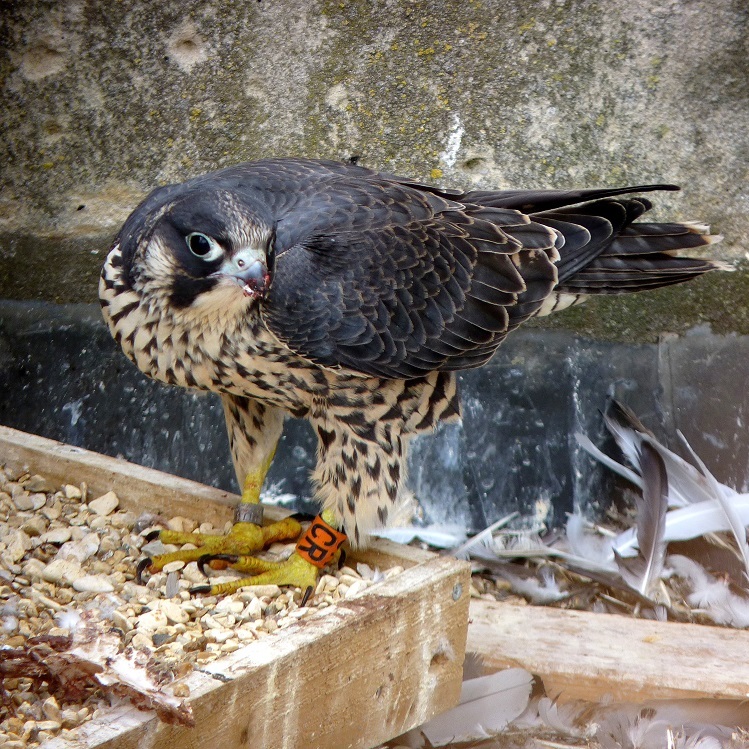 Here is a photo of him on the top of Christchurch tower from 2010 when he was a few weeks old. 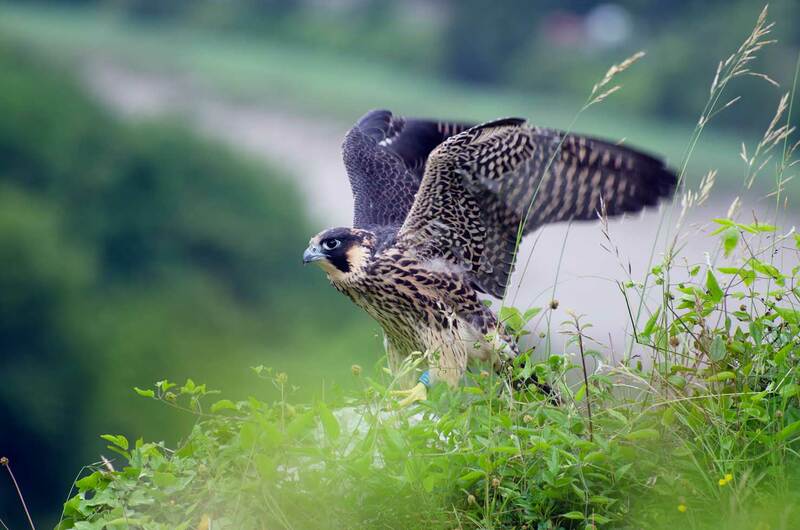 Here's a lovely photo of Alice's sister - DZ taken in the Avon gorge on June 13th 2012, the day she fledged. 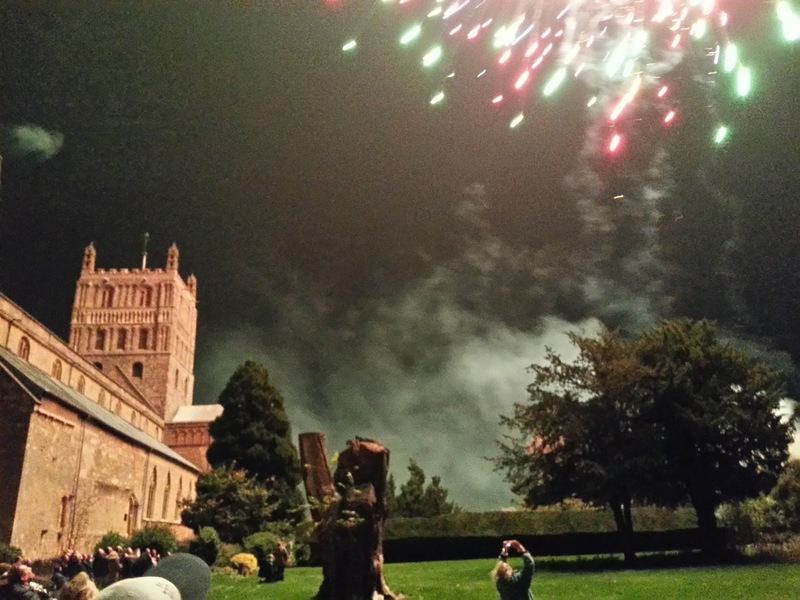 There were some stunning fireworks on the Vineyards last night organised by the Tewkesbury Rotary Club. I did wonder whether this would scare the peregrines away. However there was one perching on the tower this morning. I had to let in some visiting bell ringers this morning, and was pleased to see Alice sitting on her usual perch. There was no sign of Christopher Robin though. On the way back to the car, I looked up and saw a RED KITE fly over the tower. By the time I got my camera out, it was well past but I did manage to get this photo. I was round the wrong side of the tower to see what Alice thought of it all. This is the first time I've seen a Red Kite in Tewkesbury, although I have seen one near Upton on Severn and again at the Croome Landscape park Panorama Tower back in the summer. They are magnificent birds.